I’m working on a new poster that got into the queue ahead of Crabs of the Northwest. 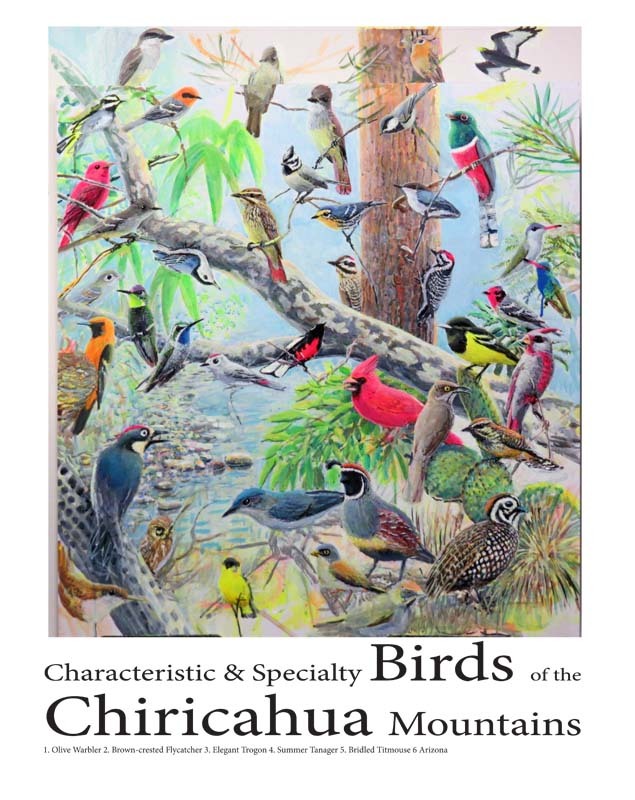 It’s Specialty and Characteristic Birds of the Chiricahua Mountains. I measured wrong and had to add more board, and I ran off the board at the bottom, but otherwise it’s going ok. This is it so far. I need to add a few more birds so I’m going to ask Reed Peters, the owner of Cave Creek Ranch, what other birds should be added. 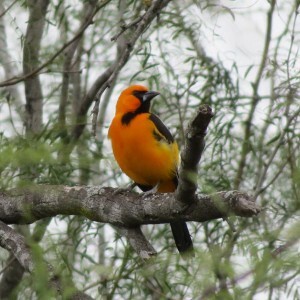 Candidates that I can think of are Thick-billed Kingbird, Greater Pewee and Plumbeous Vireo. White-throated Swift is a possibility. I’m leaving out Blue Grosbeak, sadly and but there may be room there for a Green-tailed Towhee. 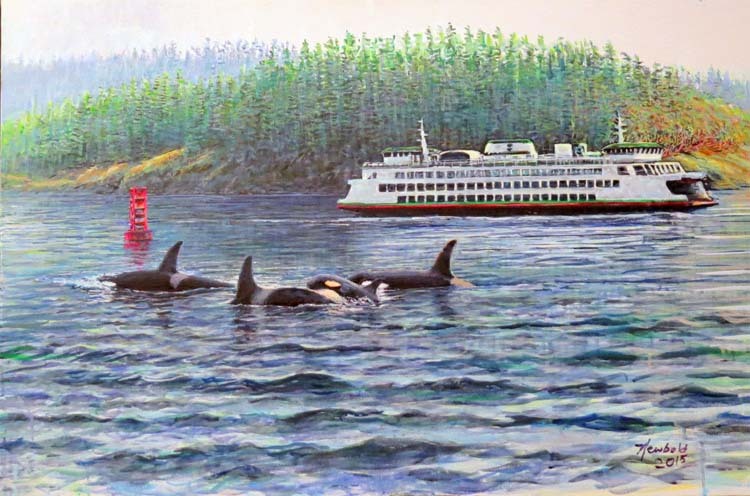 I became convinced that I can’t have a nothing sky in my new painting, Orcas in the Salish Sea. I’ll have to go back to the painting and add a cloudy bright sky, never my favorite thing to have to paint since I don’t paint in oils or take enough pictures of skies. I’m also back to work on Whales Starboard, yet another of my paintings whose main subject is orca Whales. In April we were out on a pelagic birding boat at about the continental shelf about thirty miles off Westport and some Transient Orcas, sort of a nuclear family group, altered coarse and went directly under the boat. I missed seeing that but an adolescent came up about 15 feet from the boat to get a look at us and I sure saw that. Lots of Humpbacks out there too, and many were spyhopping to get a better look at us. Not that many boats out that way.